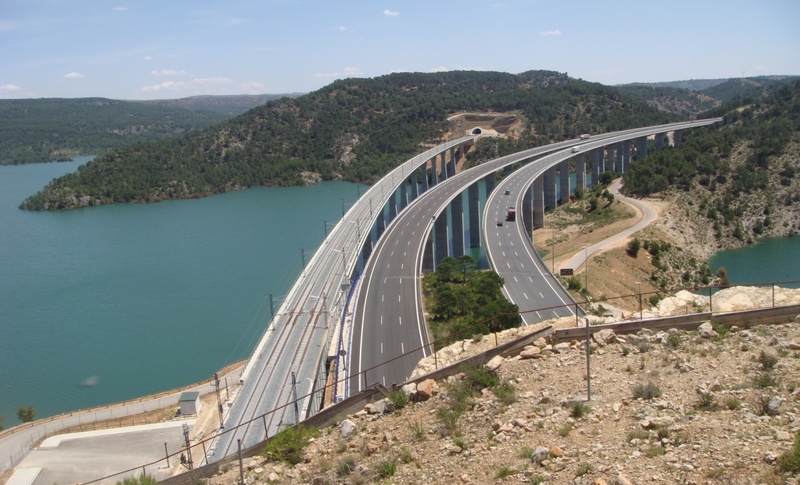 Large infrastructure projects generate an immense volume of information, from various sources and with highly diverse characteristics and formats: technical drawings, graphs, photographs, progress or monitoring reports, timesheets, incident reports and technical data, whether on health and safety, environmental, administrative or economic issues. The recipients of this documentation are also very diverse: from companies participating in the works (building firms, technical assistance) to members of the general public visiting offices or information points. The SIOS suite offers IT solutions within this context, responding to these information exchange and management needs through a single online platform, SIOS. The platform is a complete assets management system, developed by Ineco, which provides a shared workspace for the different actors participating in the works, in both the construction and the operation phases. 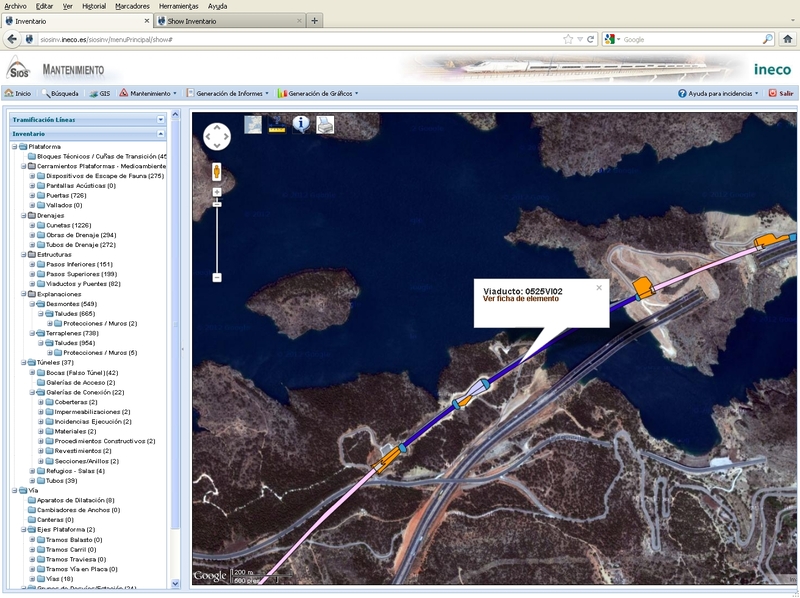 The SIOS Singular Works application enables various works items to be loaded from a range of formats (including BIM), in order to monitor the on-site production of these items, from the metres of earth excavated each day by a tunnel boring machine to a satellite image of the progress made. A single application, SIOS Singular Works gathers a multitude of data, which is viewable in real time online or even using augmented reality in situ (using Google Glass or tablets, either conventional ones or ones enabled to use Project Tango for greater accuracy). Centralising data in a single system prevents discrepancies and incoherence between different versions of documentation and streamlines data acquisition. It also saves time and effort, consequently reducing costs. In addition, the access licensing system provides security, transparency and the improved reliability of information. However, SIOS is not limited to data storage; it also offers versatility and simplicity when consulting this information, depending on the user’s profile and their role. It is precisely this versatility, together with the application’s analytical capacity and daily updates that makes SIOS a useful tool in technical and management decision-making. 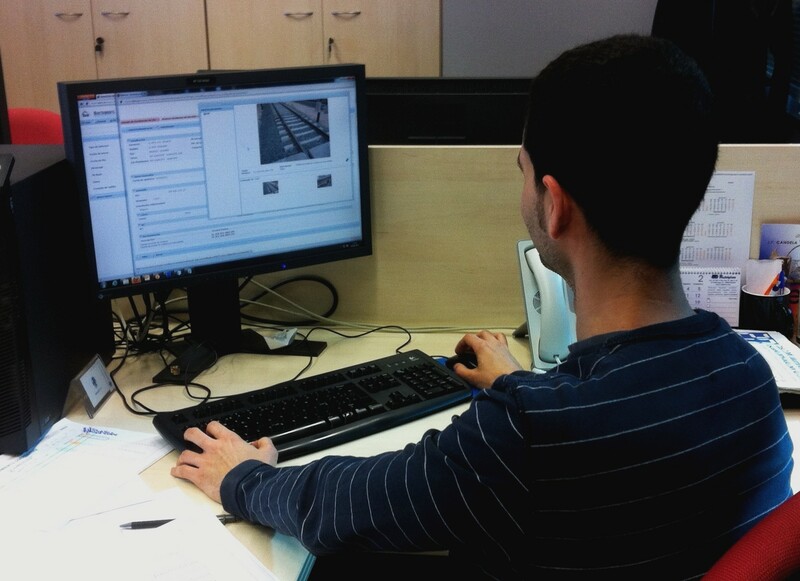 The SIOS solution represents a unique element in terms of the quality and efficiency of construction process monitoring through detailed, reliable control panels. The additional modules making up the suite, which can either be used completely independently or integrated into it, include SIOS Management and SIOS Inventory and Maintenance. The former is designed to enable the integrated internal management of multiple works (technical assistance, works supervision and surveillance, coordination, etc.) in the fields of conventional rail, high speed, airports and roads. SIOS Inventory and Maintenance, on the other hand, is centred on inventory management/updating and the maintenance of operational railway lines, both for the platform and for track and installations. SIOS Inventory and Maintenance is equipped with a tablet solution, SIMA, which enables all the functionality of the web platform to be used in the field, both online and offline, improving the productivity of work crews by over 100% and enabling teams to be managed using GPS monitoring and big data analysis.